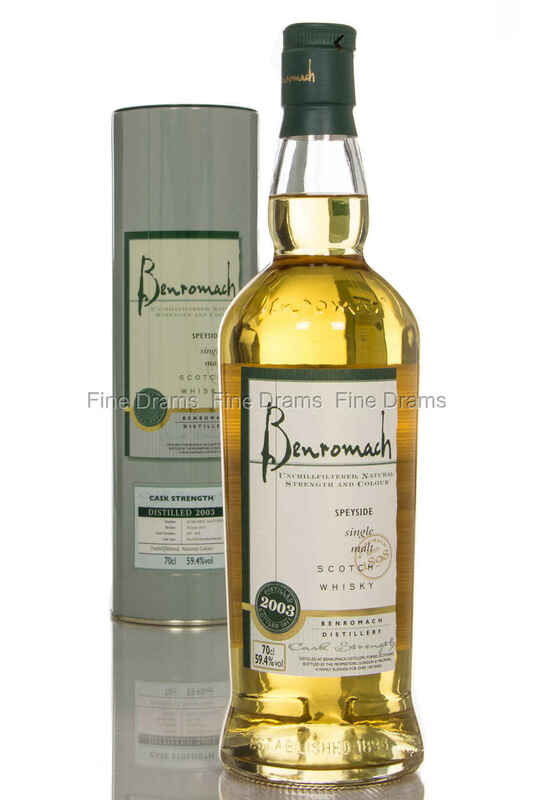 A 10 year old Benromach of the 2003 vintage, bottled at cask strength with no chill-filtration and artificial colouring. It was distilled 30/06/2003 and 04/07/2003, and bottled on the 25th of June, 2013, from first fill bourbon casks, no. 497 and 504.